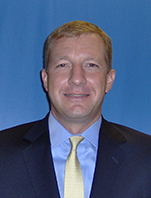 Douglas Mavrinac is a Managing Director and Group Head of the Maritime Equity Research Group at Jefferies. Mr. Mavrinac currently focuses on shipping companies that transport crude oil and refined petroleum products, LNG and LPG, dry bulk commodities, and containers. He has been recognized twice in the Wall Street Journal's Best on the Street survey for the industrial transportation sector and was named the Top Stock Picker in the marine sector by the Financial Times in 2008. Prior to joining Jefferies in 2003, Mr. Mavrinac worked 9 years in the energy industry working 8 years as a Financial Analyst with the Royal Dutch/Shell Group of Companies. Mr. Mavrinac received an MBA from Tulane University.